I’m glad that there’s a Season 11 of The X-Files, even if it’s only comprised of ten episodes. 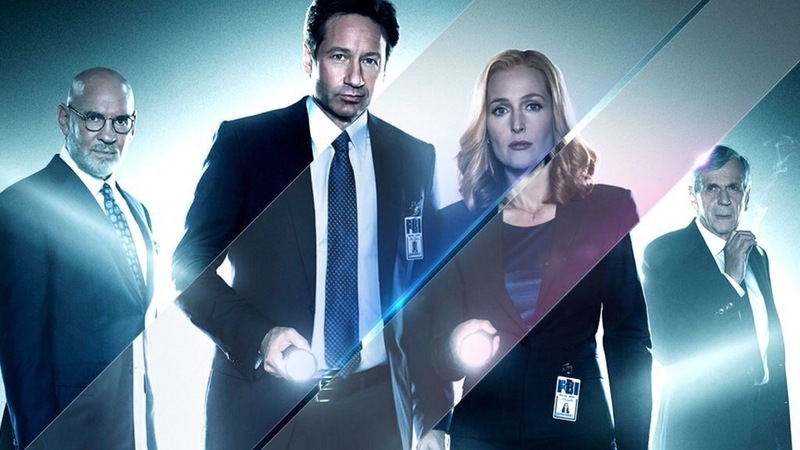 The season premiere that aired on Fox network January 3rd was heavy on the series mythology, bringing together many of the core iconic characters of the series and its on-going themes of deep-level government conspiracies and alien involvement. The quest in search of Mulder and Scully’s son William will be a strong underlying thread this season, and we learn that his parentage “by way of science” includes DNA from the nefarious Cigarette-Smoking Man, perhaps with some otherworldly genes also thrown in. This entry was posted on January 4, 2018 at 5:19 am and is filed under aliens, paranormal, television. You can subscribe via RSS 2.0 feed to this post's comments. I saw this last night, for myself, on your favorite network! Personally, I think Cancer Man has delusions of grandeur. Unfortunately, so do most other narcissistic sociopaths! And, people like that usually have the ruthless willpower to carry out their ambitions. As to why he wants William (his alleged third son)? I can think of two reasons right off the bat. With the first reason obviously being William’s telepathic abilities. But, the second reason might have something to do with his DNA. If it were alienized in utero, then samples of his DNA might be used to prevent that pandemic. Which would prove to Cancer Man’s belief that at least _one_ thing can be stopped once started. Either that, or he’s now impervious to all other forms of death… except decapitation.